JOSHUA R. JACOBSON, founder and director of the Zamir Chorale of Boston, holds a Bachelors degree in Music from Harvard College, a Masters in Choral Conducting from the New England Conservatory, a Doctor of Musical Arts from the University of Cincinnati, and a Doctor of Humane Letters honoris causa from Hebrew College. He served 45 years as Professor of Music and Director of Choral Activities at Northeastern University, including nine years as Music Department Chairman and six years as the Bernard Stotsky Professor of Jewish Cultural Studies. 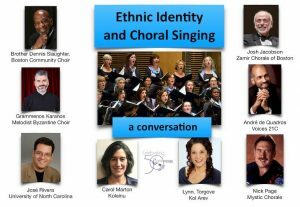 He is also Visiting Professor and Senior Consultant in the School of Jewish Music at Hebrew College. Prof. Jacobson has guest conducted a number of ensembles, including the Boston Pops Orchestra, the Bulgarian National Symphony and Chorus, the New England Conservatory Orchestra and the Boston Lyric Opera Company. He has guest lectured and taught workshops for schools, synagogues, festivals and conventions throughout North America and in Israel, Germany and Australia. He has also written articles on various aspects of choral music, and compositions and arrangements that have been published and performed by choirs around the world. In 1989 he spent four weeks in Yugoslavia as a Distinguished Professor under the auspices of the Fulbright program. In 1994 Hebrew College awarded him the Benjamin Shevach Award for Distinguished Achievement in Jewish Educational Leadership, in 2004 the Cantors Assembly presented him with its prestigious “Kavod Award,” and in 2016 Choral Arts New England presented him the Alfred Nash Patterson Lifetime Achievement Award. And in June, 2018, Prof. Jacobson will receive the Distinguished Service Award from Chorus America at its national convention in Chicago. Prof. Jacobson is past President of the Massachusetts chapter of the American Choral Directors Association. 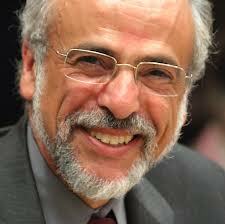 He is the conductor and host of the PBS film, Zamir: Jewish Voices Return to Poland. His book, Chanting the Hebrew Bible: The Art of Cantillation, published by the Jewish Publication Society in 2002 and issued in a revised edition in 2017, was a finalist for the National Jewish Book Award. He is co-author of Translations and Annotations of Choral Repertoire—Volume IV: Hebrew Texts, published by earthsongs in 2009. His monograph Salamone Rossi: Renaissance Man of Jewish Music, was published by Hentrich & Hentrich in 2016. EDWIN SWANBORN, Accompanist, studied with Dr. Anthony Newman at the Juilliard School of Music in New York, and has participated in master classes with Gustav Leonhardt and Anton Heiller. Mr. Swanborn is Music Director of the historic First Parish Church in Duxbury, Massachusetts. He is also the Artistic Director of the Candlelight Concert Series of Duxbury, a nationally recognized chamber music series. Founder-Director of the Boston Baroque Chamber Players and harpsichordist of the Atlanta Virtuosi, Mr. Swanborn also serves on the music staff of Northeastern University in Boston. Solo and chamber music engagements have taken him to all corners of the United States as well as to Mexico, Canada, and Europe. Mr. Swanborn has made several compact disc recordings which have been enthusiastically received by critics and audiences alike. With over 35 years experience working in Jewish community relations and public policy, BARBARA GAFFIN, Managing Director, has advocated on behalf of, developed partnerships with, and established cutting edge projects with local, national, and international civic groups, government agencies, and Jewish communities, including Boston, Washington DC, Ethiopia, Israel, Ukraine, the Former Soviet Union and Yemen. Barbara is also the director of the Dnepropetrovsk Kehillah Project of Combined Jewish Philanthropies and a decades-long advocate on behalf of Ethiopian Jews. Some of Barbara’s previous positions include serving as Associate Director of the Jewish Community Relations Council of Boston, congressional liaison for the National Conference on Soviet Jewry in Washington, DC, and national coordinator of “Freedom Sunday” for Soviet Jews in Washington in 1987 – the largest rally ever organized by the Jewish community in the US.